Seaborne Trade and the Distribution of Roman Amphorae in the Mediterranean. 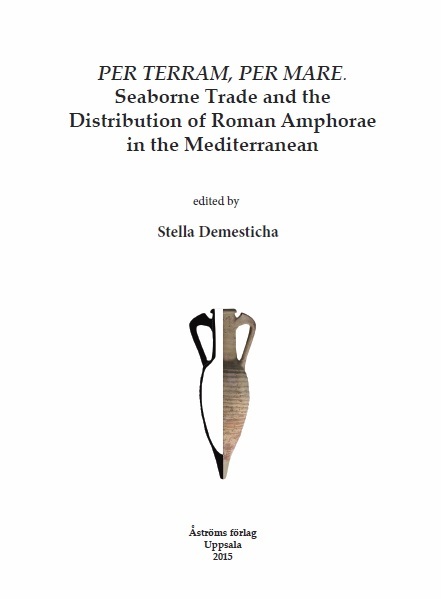 This book explores seaborne trade in the Roman Mediterranean through the study of amphorae, the maritime transport containers found in every archaeological site from the East to the West, on land and underwater, per terram per mare. New data are presented on amphorae exported, variously, to the Black Sea, the Adriatic, the western Mediterranean, Cyprus and the Aegean. Shipwrecks and harbour assemblages are discussed together with finds from urban centres, providing insights into the diverse mechanisms of maritime commerce during the Roman period. The interdisciplinary and international character of amphora studies is well reflected in the variety of topics addressed in the 19 chapters: typology and distribution, methodological issues and new interpretations, the limitations and potential of underwater sites, sea routes and exchange patterns. The volume will be of interest particularly to pottery specialists, maritime archaeologists and economic historians, but also to anyone who wishes to understand the role of Roman amphorae in modern scholarship. Bryn Mawr Classical Review (BMCR) 2016.